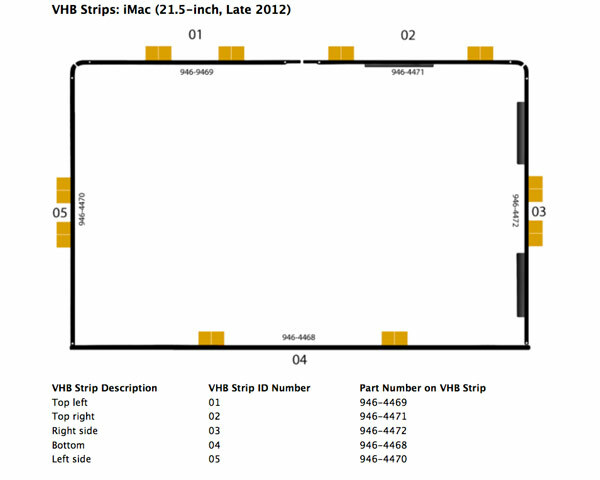 VHB (Very High Bond) display tape repair kit for the 2012-15 21.5" iMac ranges. 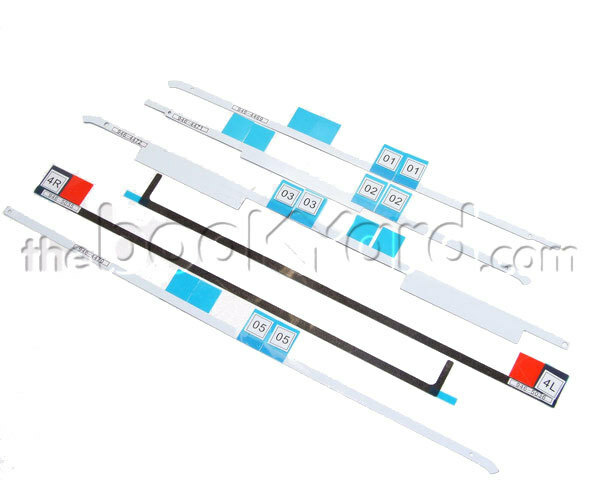 This kit includes the 6 part tape kit needed to fit the display to the rear housing unit. This is not the original Apple tape kit, but is a very high end replacement made by the same manufacturers as the original kit. it has been tested by TheBookYard and found to be of very good quality. 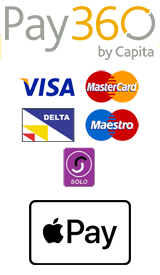 This listing does not include a replacement cutting wheel, but one can be purchased through the options below. The wheel is a replacement for Apple's original wheel/blade, but fully works with the white apple cutting handle/tool.